It is almost impossible to talk about the impact of Mad Men (2007-2015) without addressing the nostalgia factor. Nostalgia is the pleasure and sadness that caused by remembering something from the past and wishing you could experience it again. 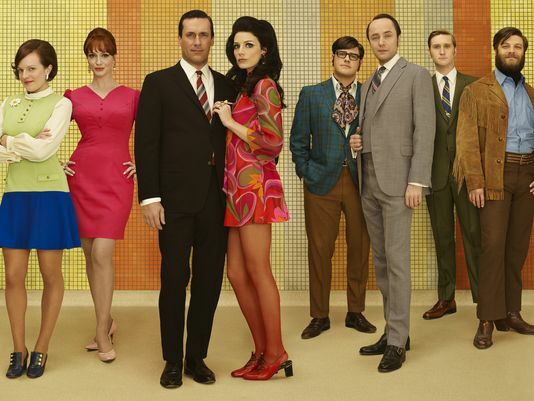 So how does Mad Men make viewers nostalgic for a time that many of them don’t remember or weren’t even around for? Instead of wishing for an experience again, watching Mad Men can leave you longing for a bygone moment you never actually experienced. Unlike The Wonder Years (1988-93) or China Beach (1988-91), both also set in the 1960s, Mad Men premiered in 2007 when internet culture and social media were starting their pervasive creep into everyone’s lives. The first episode of Mad Men aired one month after Steve Jobs introduced us to the iPhone. Yet, the world of Mad Men is one of rotary telephones, answering services, and typewriters. It would be naïve and wrong to say that the narrative of Mad Men, and of Don Draper specifically, is from a simpler time. The human relationships and conflicts created by Matthew Weiner and the other writers are complex, difficult, and challenging. The nostalgia is a mirage for a time of beautifully tailored clothes, crystal highballs, and modern furniture–the elegant trappings of a slick, New York life that few viewers were around for and even fewer ever lived. It is nostalgia for a time when those human stories, the narratives of Don and Peggy and Roger and Joan, played out face to face. 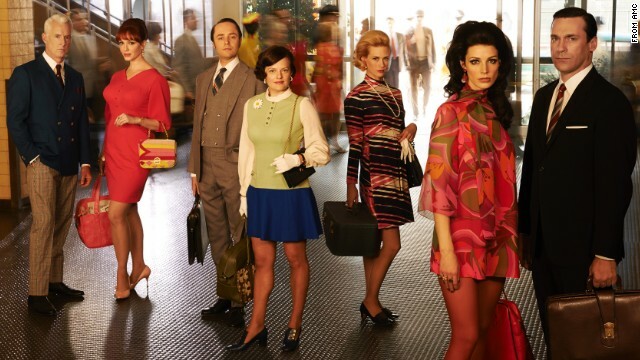 The key to Mad Men’s nostalgia lies in the romance of a time when human connection was made without the interference of a screen and against a low-fi backdrop with the sharp edges smoothed over by a false patina of memory. Just as everyone likes to imagine himself or herself important or famous or powerful in a past life— everyone is always Joan of Arc or Genghis Kahn, never Sue the housemaid or Gustavo the stone mason —we would like to imagine ourselves amid the trappings of the Mad Men era thoughtfully and deliberately created by the art department. We want to inhabit the space age masterpiece of Roger’s office. We want to be invited to a party at Don and Megan’s stylish Upper East Side apartment and sit in their sunken living room. Even Peggy’s stuffy apartment building holds a certain cache as it represents a neighborhood of burgeoning activity and intrepid growth. Matthew Weiner and the design team work hard to make everything feel and look real, down to the wires to the lamps, and for that realness to resonate with the audience. “Everyone is not just fetishistic about detail, but also always concerned with storytelling. Everything is story. All the clutter you see reflects the characters, ” he told Interior Design. Viewers connect with the interiority of the characters through the exteriority of the spaces. The nostalgia is, in many ways, aspirational, providing a reflection of a fictional past making us think about the personal connections of our impersonal present.